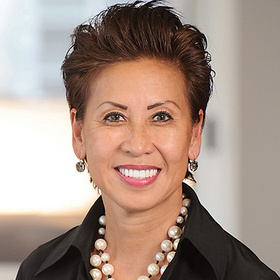 Fawn Lopez is publisher of Modern Healthcare and vice president of Crain Communications. Modern Healthcare is once again proud to host the Women Leaders in Healthcare Conference this week in Nashville. The agenda is filled with the names of women board members, CEOs, CFOs, CIOs and other top-level executives. But has the industry done all it can to achieve authentic gender equity, diversity and inclusion? What we've learned in recent years is that those issues matter—in healthcare boardrooms, C-suites and throughout the workforce. Moreover, they matter to everyone—providers, payers, vendors, government, and most importantly, consumers. The industry can take pride in what it's already accomplished in education, research and leadership development of women. Women also stand at the helm or hold many other C-suite roles at every type of healthcare enterprise. However, a 2017 study from Fortune found that women occupy 18% of board seats among the 3,000 largest publicly traded companies, 4% of CEO offices and 11% of CFO positions. And despite women now representing one-third of hospital executives, only 4% of healthcare CEOs are female, according to a survey from Rock Health. The healthcare industry needs to do a better job of advancing women to the corner office. We must consider an approach that blends interpersonal relationships with organization-driven programs and support of initiatives at the vanguard of gender equity, diversity and inclusion. I speak from experience. The trajectory of my own career—which culminated in my position as publisher of Modern Healthcare and corporate vice president of Crain Communications—is the product of myriad “random acts of kindness” from friends, colleagues and industry insiders over the years. Both men and women have shaped my career and my life. They offered words of inspiration and encouragement in tough times and gave invaluable advice on how to resolve conflicts and deal with challenging colleagues. Other women deserve the same opportunities. They need support, encouragement and advice from those who have “been there, done that” and are willing to share lessons learned. And we can all contribute. We need to define strategies to help develop women leaders. Let's make it our business and personal mission to act as an informal coach, teacher and guide for women in all stages of their careers. And let's build formal programs in mentoring, coaching and leadership development. We must put our money where our values are. Women deserve more opportunities to take on profit-and-loss responsibilities and make decisions about enterprise-wide investments. Why not focus our business or clinical partnerships or investments on organizations that champion the recruitment and promotion of women? Finally, let's support and underwrite programs and organizations that work to make a difference in the lives of women in healthcare. The healthcare industry can make ever-greater strides in gender equity, diversity and inclusion and quality if we blend the power of personal relationships and leadership development with the support of organizations that strive to propel women healthcare leaders forward.